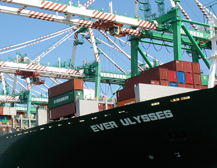 As a leading international shipping company (based in UK) we offer worldwide container shipping services from the UK. Some of the main countries that we offer container shipping services include Kenya, South Africa, Tanzania, Australia, Cyprus and many more. Standard dry containers e.g. 20 foot and 40 foot container. 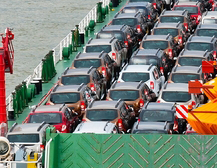 Cars, machinery, spare parts and personal goods can be shipped to countries by use of standard containers. Made of steel and aluminium, these containers are multi-purpose and can be used to ship nearly all types of goods. Please give us a call or submit an enquiry and our shipping agents will assist you in determining what size container you will need. Container shipping can be slightly expensive compared to other shipping methods. However, one must remember that the container ensures that your car or goods will be safe on arrival. Refrigerated containers come with a system that controls the inside temperature of the container. This needs to be plugged in to the ship's power supply the entire time it is on transit to ensure the temperature remains at the desired level. Refrigerated containers can be used to transport all sorts of goods, but the main products include perishable items such as flowers, fruits , vegetables and plants. 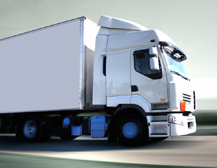 Refrigerated container can be used to ship perishable goods from the UK to South Africa, Asia, West Africa, Australia, and many other countries. Although similar to standard containers, high cube containers are 1 foot taller, and are usually 40 foot long. High cube containers can be used for shipping any type of cargo. However, it is commonly used to ship machineries e.g. diggers, or cars. It is also commonly used for shipping tall cargo that would usually not fit in a standard container. Similar to a standard container but only has two walls at the beginning and at the end of the container. Sometimes the two walls can be collapsed to enable easy loading of the cargo.